Google Android, as the new contestant on the market, gained great popularity after being first announced in November 2007. With its announcement, it also was accompanied by the founding of the Open Handset Alliance for which Google Android is said to be th flagship software. In following chapters, we will take a closer look at Google Android and describe its parts, functionalities, eventual problems and more. But first, we will start with a basic understanding of Google Android. As no officially obtainable physical device is available at time of writing, developers will have to rely on the provided development kit: Google Android SDK. A core element of the SDK is the actual Google Android Emulator which provides a graphical emulation of a possible handheld device running Google Android. Furthermore, the SDK not only provides the core classes of the Android framework packed into a Java Jar-file: it also includes the documentation in HTML-form and several tools that improve the usability and interaction with the emulator. 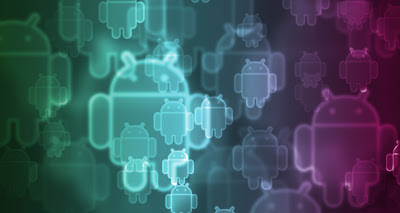 Once the SDK has been downloaded, developers can directly start creating Android applications, compiling them and deploying them to the emulator. Nothing more than an editor and a working JDK (Sun JDK) is required. Though, to make things easier, Google suggests Eclipse as the IDE to be used. For this, Google optionally provides an Android Plugin made for Eclipse that will take over a few basic tasks like creating the Android Project layout on disk, the integration of your SDK, eventually starting your emulator if not running yet and the deployment of you application on the emulator ... all this with just a few clicks. You have finished reading Google Android SDK and many articles about Tech Gallery in our blog this, please read it. and url link of this article is https://littlebitjohnny.blogspot.com/2013/01/google-android-sdk.html Hopefully discussion articles on provide more knowledge about the world of new tech gadgets.